New version of VistaSwitcher has been released today. I've revised the default VistaSwitcher shortcut behavior (thanks to the user's feedback!) 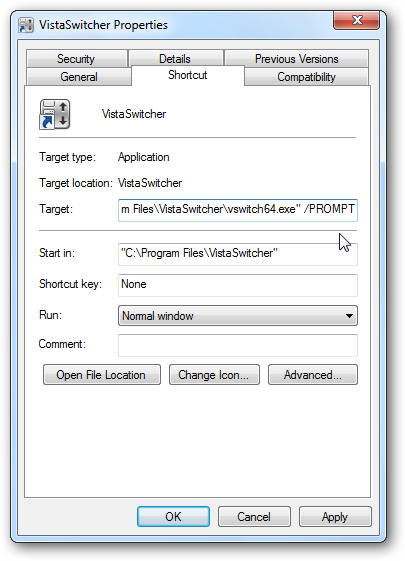 to open the task switcher window. This is a very minor enhancement but it allows you to quickly open the task list using a Desktop, Quick Launch or Windows 7 Taskbar shortcut.